Space without the shuttle fare. 1000 stickers. Tons of interstellar fun. National Geographic have worked their magic again. In a galaxy of books about space, this is the shining star. 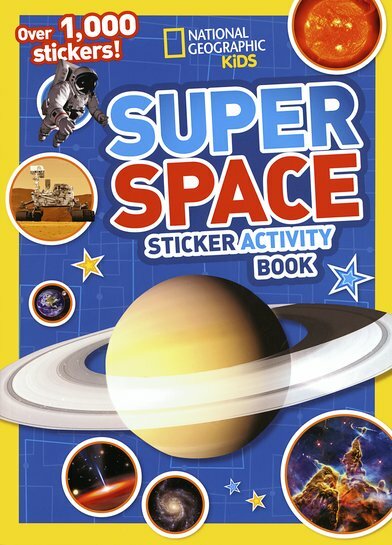 It has all the must-have things: stars, comets, aliens and rockets. Stickers, puzzles and mazes. Incredible colour photos of Earth and the planets. Doodles and drawing fun, spelling games, fantastic facts and jokes. Totally out of this world.